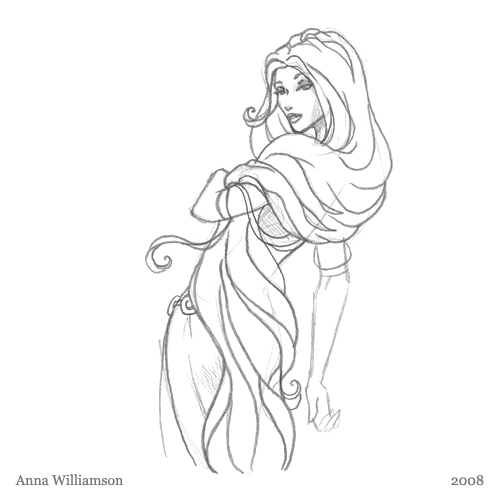 I thought I’d post another sketch from the “set” of the fairy tale princess playing with her hair. This time she’s using it as a shawl … and looking oddly flirty. How did that happen?